First, I loved that my son thought the presidents are cool enough for trading cards. 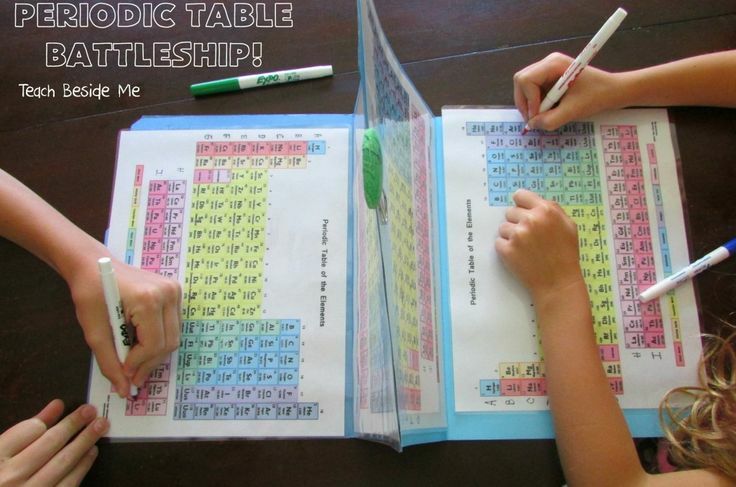 Second, I loved that he knew his homeschool friends would also believe that is cool. And third, I loved that he wanted me to make them for him! So, I have been working on these president trading cards so he can bring them to trade with his friend this week. Guess what, he also helped me make them (another thing I loved)! We decided to do them in black and white to make them uniform since the older portraits of the presidents were only in black and white. We numbered them and also added some key points: when they lived, where they were from, when they served and who their vice president was as well as a picture of each one. We decided to make it interesting. 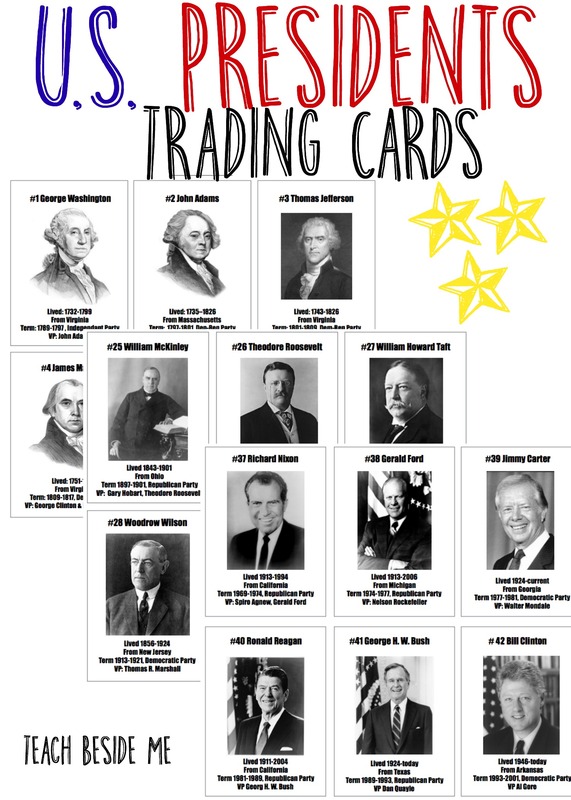 We printed out several sets of the president trading cards, but removed a few of the popular presidents. 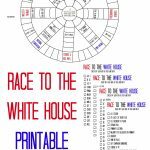 I printed out 5 sets of the cards and took out 1-2 copies of some of the cards (George Washington, Abraham Lincoln, Barak Obama, Ronald Reagan, etc.). This way trading would be more of a challenge. I told the kids that the first 2 who got complete sets would get a prize. The kids just passed them out today, so we will see how it goes! 🙂 My kids were so excited! 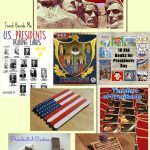 We made all 44 presidents and it is 9 pages of cards. We printed them on card stock so they would hold up with all of the trading. 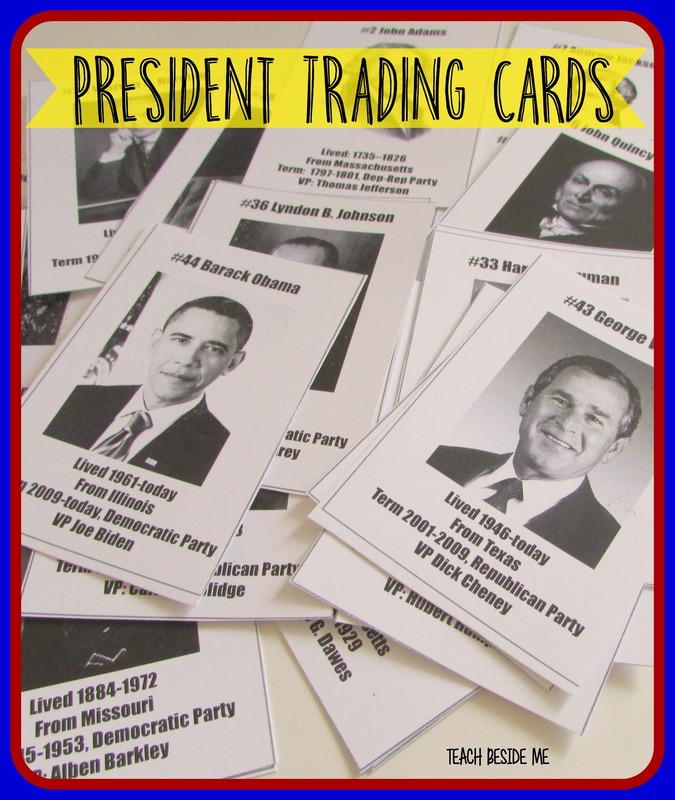 Grab this President Trading Cards printable in my shop– or add it to your cart now! 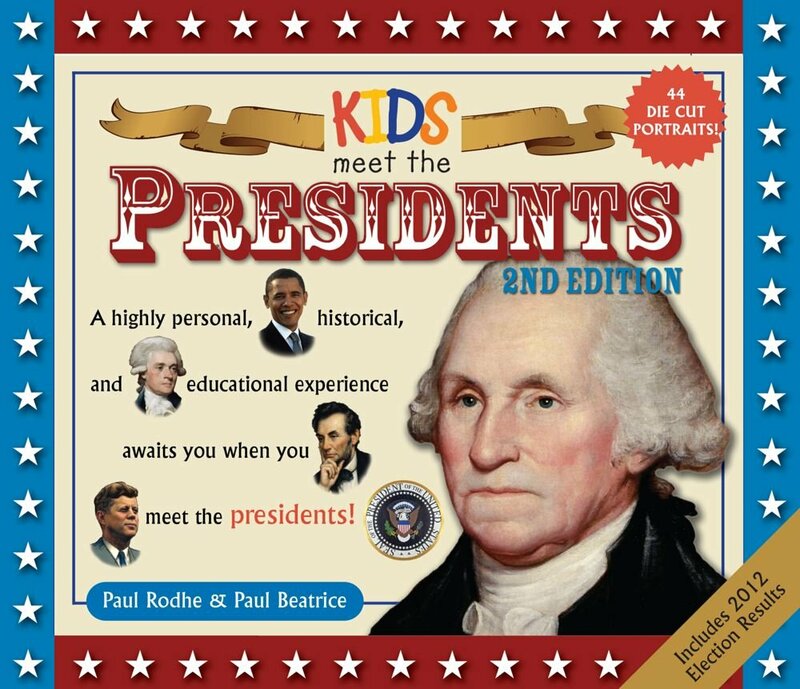 We have a couple of books about the Presidents that we have loved, too! 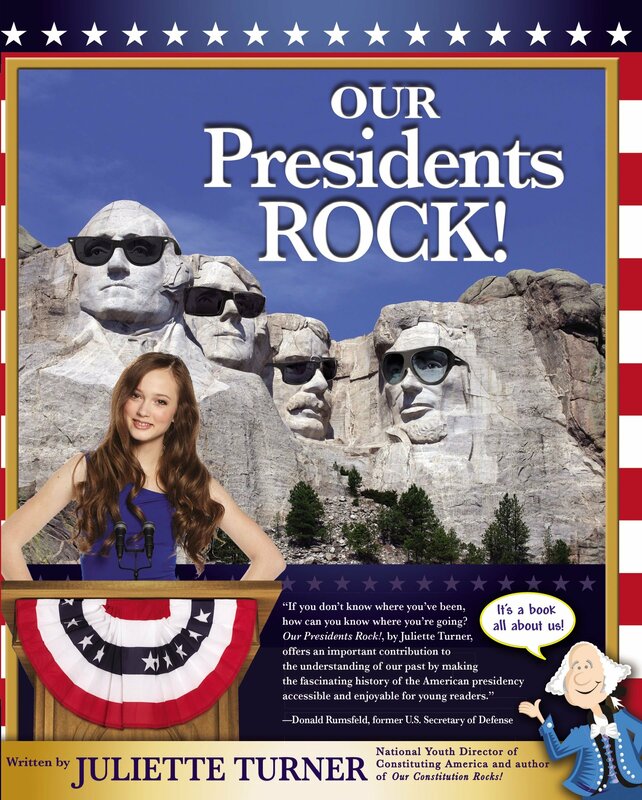 and Our Presidents Rock by Juliette Turner. These are pretty cool! My kids will love them because they’re always asking me about details like dates, which I can never remember. I can never remember dates either! Such a great idea. 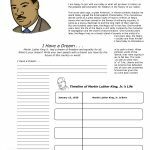 Going to use even for my high school son when he takes Government. 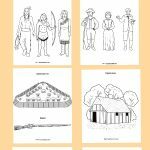 Feel free to download the free resources on my homeschooling site. Happy teaching! Are these roughly the same size as baseball cards? Any idea if they would fit in baseball card pouches? Yup! About the same size as a baseball card. It should work.